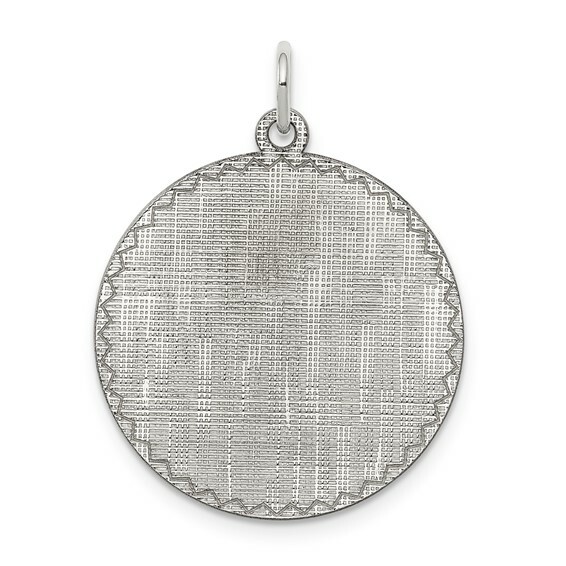 Engravable round patterned charm is made of sterling silver. Engravable on the smooth back only. Dimensions: 7/8in x 7/8in without bail. Weight: 1.87 grams. Thickness: .018in. Jump ring fits up to a 3mm wide chain. Made in USA.